Psychological Dream Meaning: The eagle is a powerful bird that may represent a powerful intellectual or spiritual abilities. For a Christian it may represent John the Evangelist and for an American it may be a symbol of your country. Psychological Dream Meaning: An ear may be telling you to listen to what you are being told. The advice may be coming from people you know in waking life or from your own inner self. Perhaps you should listen to the voice of your conscience? Psychological Dream Meaning: Something is upsetting you that has destroyed your feeling of security. You may feel that your whole world is falling apart and you ‘quake with fear’. Similarly, something may be threatening you from below the surface of your awareness. 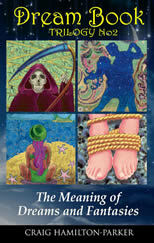 This may be a repressed fear or anxiety that you have pushed underground into the depths of your unconscious. Psychological Dream Meaning: The sun rises in the East. This direction may therefore represent a new dawn and rebirth. You may also be interested in the philosophy and spiritual wisdom that comes from the great cultures of the East. Psychological Dream Meaning: Freud considered the mouth, through which food enters the body, to be the primary erogenous zone. Dreams of eating are therefore closely associated with sexuality. If you dream of gorging yourself it can indicate that you have an indulgent sexuality whereas dreaming of fasting or starvation may indicate that you deny your sexual needs. Eating out at restaurants is often part of couples courting rituals. In dreams meals that have an enjoyable atmosphere reflect a confirmation of intimacy with others and good social relationships. Dreaming of eating in uncomfortable or threatening surroundings may represent frigidity and unhappiness with your relationships. An alternative explanation is that eating symbolises qualities that you are making part of yourself. For example, you may be digesting some new ideas or perhaps a problem is ‘eating at you’. 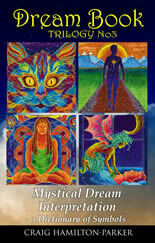 Psychological Dream Meaning: To dream of an egg promises that something new is about to happen in your life. You may be ‘hatching’ a new idea or plan. After a period of waiting wonderful new possibilities will open to you. At this stage you will need to carefully nurture your plans as eggs are delicate things and can be easily broken. The egg could also symbolise inner potentials that are developing within you. You may be learning new skills or feel that you are developing into a new and better person. You need time to incubate this new side of yourself. Soon you will be able to ‘break out of your shell’. 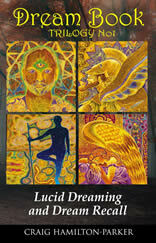 Psychological Dream Meaning: The elements are symbols for the sum total of the universe including man. These are divided into solid (Earth), liquid (Water) and vapour (Air) and these three are transformed into one another through the agency of energy (Fire). Psychological qualities can be represented by each of the elements. If these are in balance then it represents psychological wholeness and well-being. Psychological Dream Meaning: Elephants can symbolise inner strength and wisdom. The may also represent the memory. Carl Jung believed that they represent the self. The defensive nature of an elephant may represent an introverted nature. Psychological Dream Meaning: You may feel that you are going up in the world. As no effort is required to make you assent, you may feel that someone is helping you or that destiny is working in your favour. You may also have raised your consciousness and see the world from an elevated standpoint. As you transcend the lower planes and perhaps become more cerebral in your thinking, remember not to loose touch with your instinctive and intuitive nature. If the elevator is descending, it can indicate the decent of the conscious ego into the unconscious in order to explore this hidden world. Alternatively, it may represent the decline of your personal power and status. In both instances, remember it’s who we are, not what we are that counts.